For financial service providers working with commercial operations, having an accurate and recent business valuation is the basis for many of your most important decisions. From lending to mergers and acquisitions, you are making an investment in your clients, as well as your own bottom line, with each transaction. That’s why you need information you can trust, and you need it right now. An online business valuation tool can give you a clear and instant image of a business’ potential. Leveraging an easy-to- use, intuitive business valuation software can provide you with reliable information on valuations and comparable transactions, allowing you to take advantage of opportunities as they arise. Where you get your information from matters. 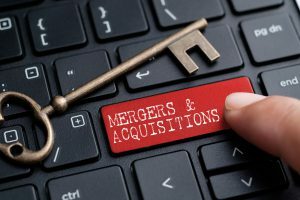 Business acquisitions are large investments, both for your clients, as well as your institution. Gaining access to accurate, reliable data can mean the difference between a sound investment and a missed opportunity. Look for a business valuation tool with trusted credentials and a reliable source of information. As an example, Banker Valuation gathers data from national, regional and local SBA lenders across the country. This data is filtered and cross-checked for accuracy, and covers all major industry classifications. With an online business valuation tool, you can have a value estimation you can trust in 15 minutes or less. Not only does a quick business valuation add immeasurable convenience to your process, it can actually help you take advantage of more, and better, business opportunities. The business world moves incredibly quickly, and being able to make well-informed decisions faster can give you the competitive edge you need to advance in such a fast-paced industry. Saving you time and money—that’s what online business valuations are all about. In order to make lending decisions, you need to have the correct information, as soon as possible. This used to mean engaging a third-party appraiser, paying thousands of dollars and waiting days, if not weeks, for their findings. That process can be significantly expedited with an online business valuation tool, not to mention the cost is just a fraction of what a third-party appraiser will charge. prospects in a matter of minutes before hiring an appraiser, expanding your field of opportunities.